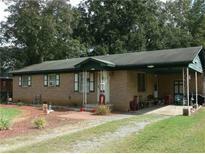 Find Rock Hill, SC Foreclosures for sale. View Photos, Maps and MLS Data Now! Kitchen has oak cabinets, granite counters and stainless appliances. MLS#3493407. Showcase Realty LLC. Rollingwood - Enjoy the oversized private corner lot with huge deck and patio perfect for entertaining. MLS#3490449. Coldwell Banker Residential Brokerage. Barron Estates - Home has already been approved for short-sale through the bank. Property is sold as-is. MLS#3488678. Keller Williams Fort Mill. lose to I-77 for your convenient commute. MLS#3479503. Realty ONE Group Select. Herndon Heritage - Lgr loft area for games, TV, office space. MLS#3472919. Allen Tate Rock Hill. Fairway Woods - Master bath has double sinks and a garden style tub. Formal dining room. MLS#3468392. Keller Williams Fort Mill. 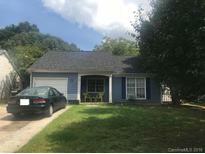 Ragin Estates - Great location close to downtown Rock Hill. MLS#3468669. Keller Williams Fort Mill. Sold as-is, no repairs by seller. MLS#3464605. Ouzts Realty Company, LLC. Cedarwood - Great for Investor or Owner Occupant looking for a neat project where you can add your personal touch! All Appliances convey. MLS#3438742. Bardney Realty LLC. A great investment for first time home buyers and investors. Currently renting for $700/month. MLS#3439764. Rinehart Realty Corporation. Great investment property, 3 bedroom 1 bathroom close to downtown. MLS#3439806. Rinehart Realty Corporation. Great Investment property or starter home. Currently;y renting for $625/month MLS#3439843. Rinehart Realty Corporation. These statistics are updated daily from the Carolina Multiple Listing Services, Inc. For further analysis or to obtain statistics not shown below please call Highgarden Real Estate at 704-935-2432 and speak with one of our real estate consultants.